During October 2017 artist Nicole Mollett will be in residence in the Kaleidoscope Gallery, using the space as her studio during the week. 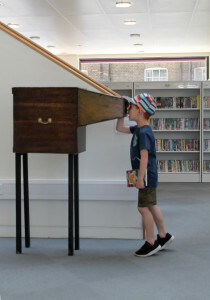 Situated above a library, the Gallery is well suited for an artist who regularly uses books and encyclopaedias as a starting point for her ideas.The artist will explore the idea of drawing as a language, using visual images to tell stories and make connections. Inside the Kaleidoscope library there will be two sculptures on display. 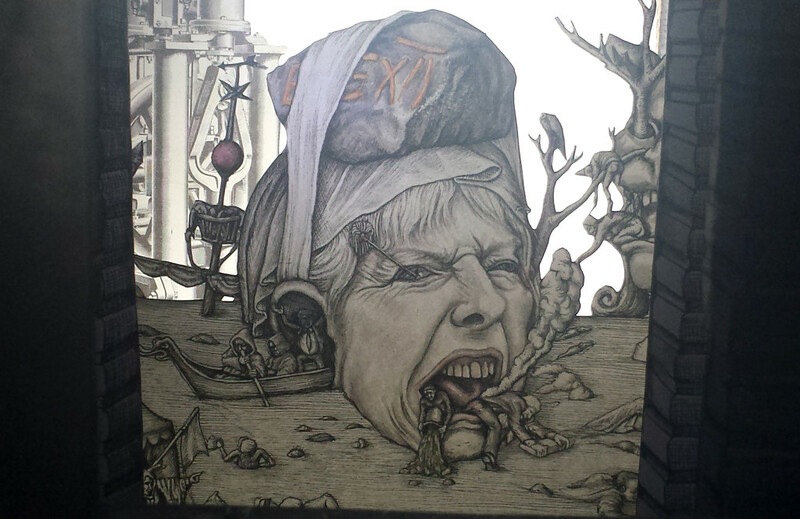 A Frail Happiness and Darkness Visible are a pair of show box dioramas made just before the 2017 election. The viewer is invited to peer into miniature worlds containing hand-painted scenes, suggesting the parallel existences of heaven and hell. 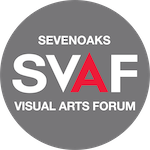 The Sevenoaks Kaleidoscope Museum collection contains a series of magic lantern slides painted in the 17th century by local artist William Knight.These glass slides were projected onto the walls of a darkened room to conjure up fantasies of beasts and exotic lands. 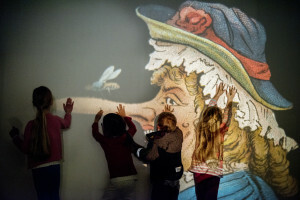 Mollett also paints her own magic lantern slides, and works collaboratively with artist Frog Morris to repurpose these Victorian theatrical devices to perform contemporary tales. 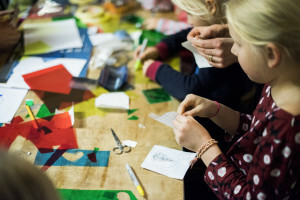 There will be a special slide making half term workshop.Participants can explore a number of techniques to produce their own images, and then see them projected alongside the original slides. Nicole Mollett will talk about her experience of being an artist, focusing on recent commissions and projects. The artist will talk about the works she has developed whilst in resident in the Sevenoaks Kaleidoscope Gallery. Talk open to non members. 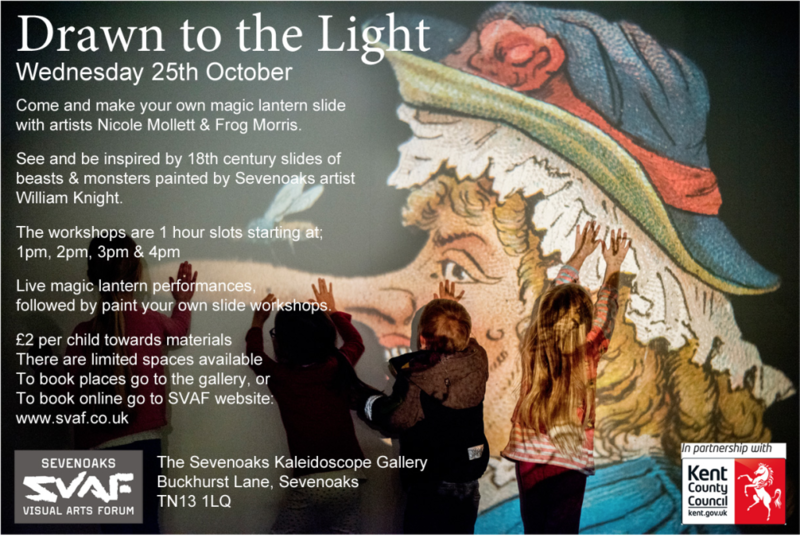 Come and make your own Magic Lantern slide with artists Nicole Mollet & Frog Morris.See and be inspired by the Kaleidoscope Museums 18th Century slides of beasts and monsters painted by Sevenoaks artist William Knight. 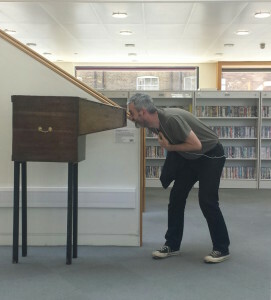 Magic Lantern performances at 1, 2, 3 & 4 pm followed by slide painting. Workshop is free but £2 per child toward materials. An adult must accompany children. Please be aware that if you choose to work with the paint you might want to consider wearing your ‘messy’ clothes. 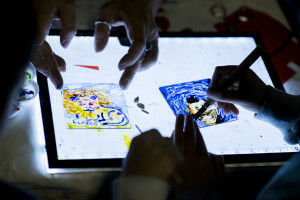 Magic Lantern shows (10 minutes) followed by making your own Magic Lantern Slide. Sessions at 1pm, 2pm, 3pm & 4pm. Use acetate, pens and printed transparencies to create your own magic collage, which can be projected through the magic lanterns. Try using water based paints to create your own monster slides. The paint needs approximately 1hr to dry completely. Participants can take home your slide and cook in a normal oven to fix the image permanently. There will be a mini performance at regular intervals to project the childrens slides. Nicole Mollett is a multi-disciplinary artist. 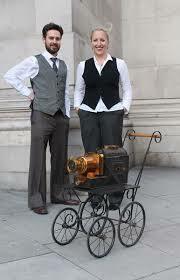 Her work features drawing, sculpture and magic lantern performances. When drawing, her imagined realities are composed using images from early encyclopaedias together with photographs found online. She is known for her detailed drawings and maps, which reveal hidden narratives, and suggest alternative histories. Nicole completed her Sculpture MFA at the Slade School of Art. Her work features in several publications including a collection of maps of London called ‘Curiocity’ published by Particular Books in August 2016. She has exhibited and performed in many museums and galleries including Whitechapel Gallery, Space Station 65 Gallery, Jerwood Space and Tunbridge Wells Gallery. She has run public engagement workshops and educational projects with organisation such as the Barbican and Milton’s Cottage Trust. Her public art commissions include a mobile artwork, the Kent Baton, which travelled the county of Kent 2010 – 2012, during the Olympics. 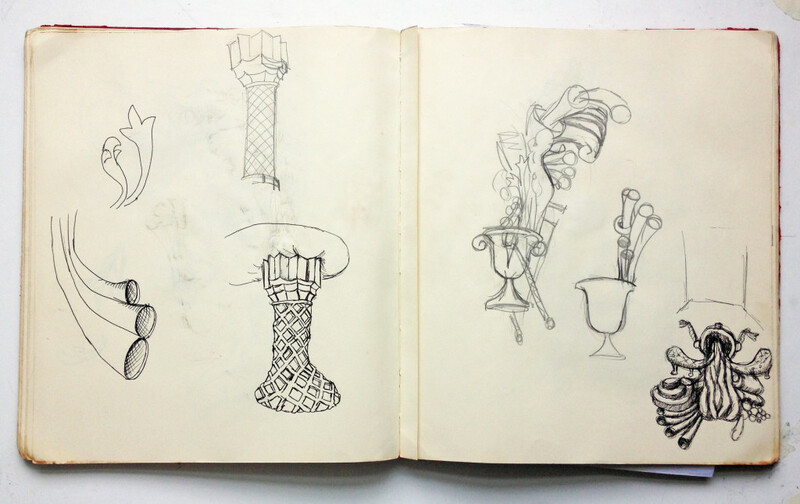 The artist was recently commissioned with writer Sarah Butler, to produce an online digital archive of drawings as part of Creative People and Places project. Entitled ‘More Than 100 Stories’ 2016.